With music festivals soon approaching I’d say it’s pretty ideal timing that Nordstrom is currently pricing matching loads of Free People gear. Possibly really dangerous if you’re anything like me! I was so excited to see this poncho has been restocked. I just saw it also comes in white as well….pretty tempted to snag that one too. The lighter color would make a great companion in the Maldives! AHH 11 days…the countdown started at least 3 months ago though. Adorable boho style. 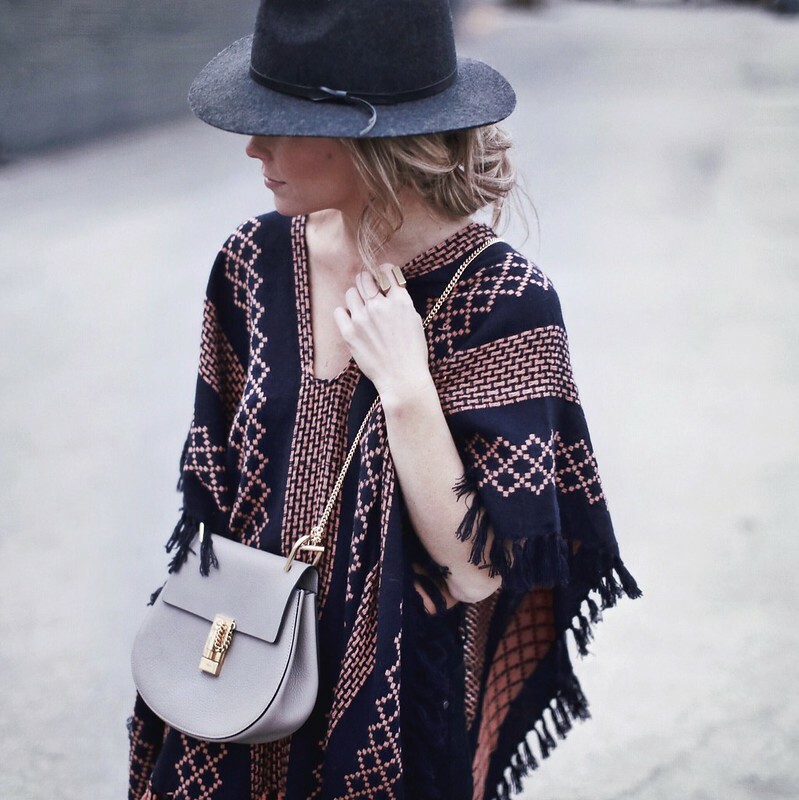 Love the cute poncho and the bag! Great 70´s look, I also like the poncho & bag!! Omg! This poncho is stunning!! Beautiful look! Love the poncho and your bag so much!!! Wow love the poncho styled the withe flare jeans! So cool! Perfect festival wear! I love how you’ve managed to make the poncho look so chic! I love this crosbody bag! 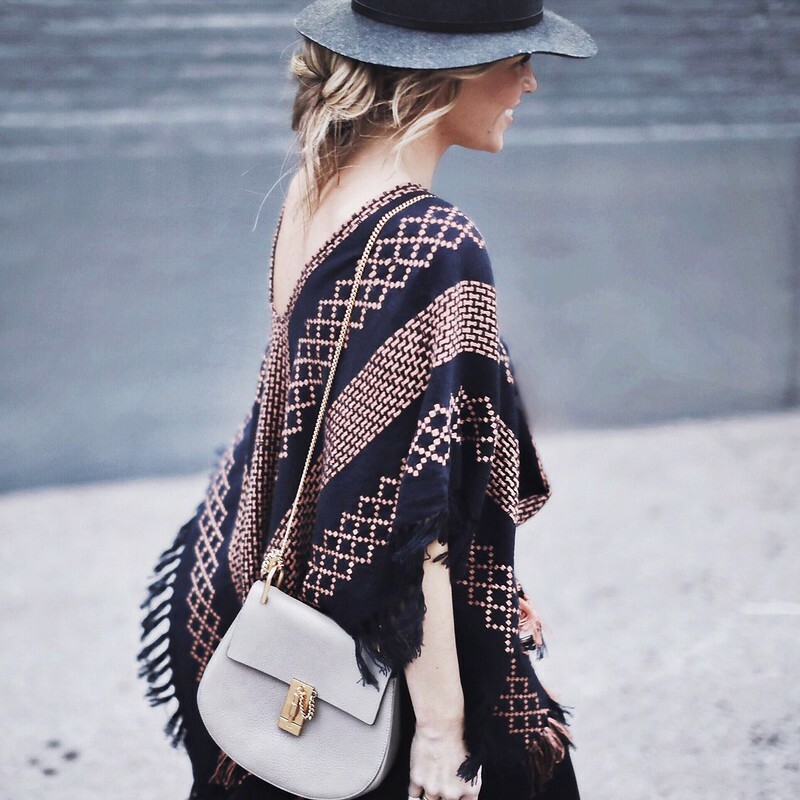 I’m crazy about this poncho! Such great colors, and a pretty pattern. Love how you styled it! This is a super cool look, and I love how you went for both volume on top with the poncho and on bottom with the flare! Love this look, especially the flares – so 70’s paired with the poncho! Obsessed with your bag! Perfect outfit! Those are my favorite jeans! The cut is amazing. gorgeous look! love the 70’s feel! 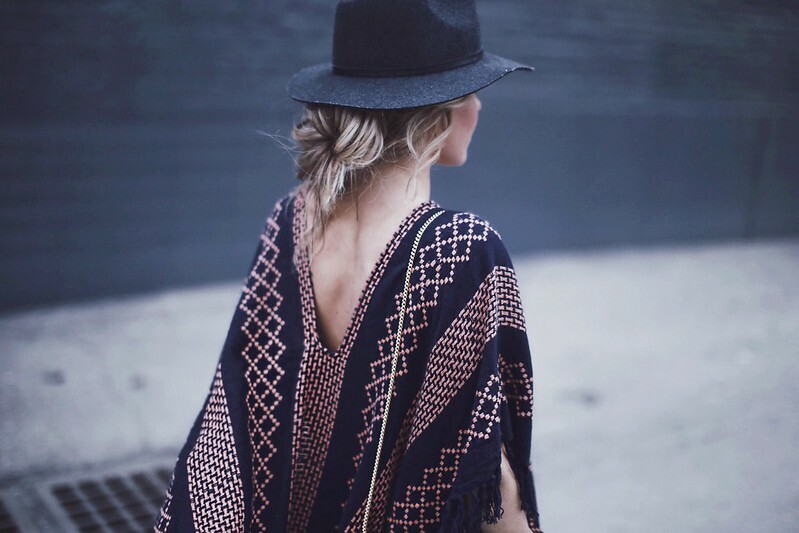 Love this poncho! And I think you should probably snag the white one while you can. It’ll be perfect for summer and/or beach trips. 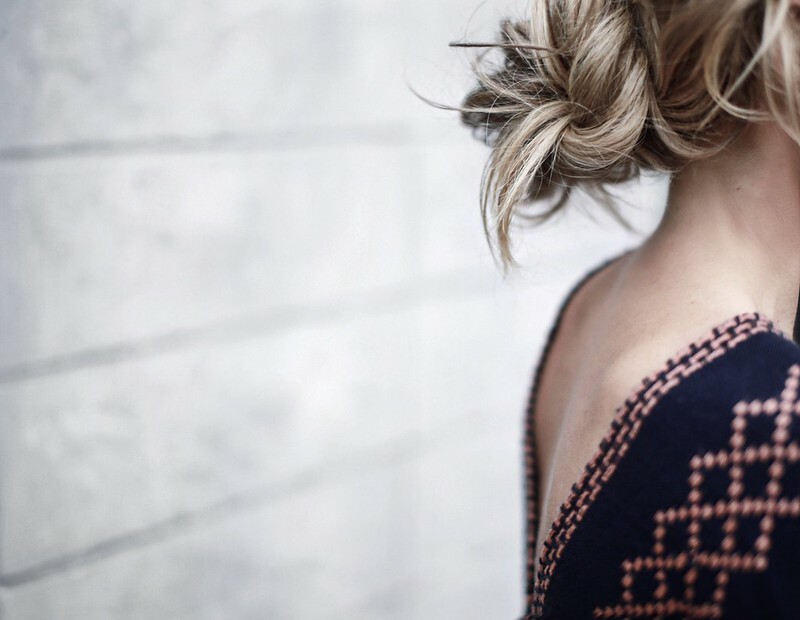 I’ve been obsessed with Free People lately and this chic boho look is pure perfection! Love this boho chic outfit with a cool fringe poncho and flattering flare jeans! Great style, gorgeous! Love this boho look!! Amazing poncho!! Love this look! Perfect casual outfit. Beautiful photos as always! This look is perfect for any laid back music concert. Love the poncho! 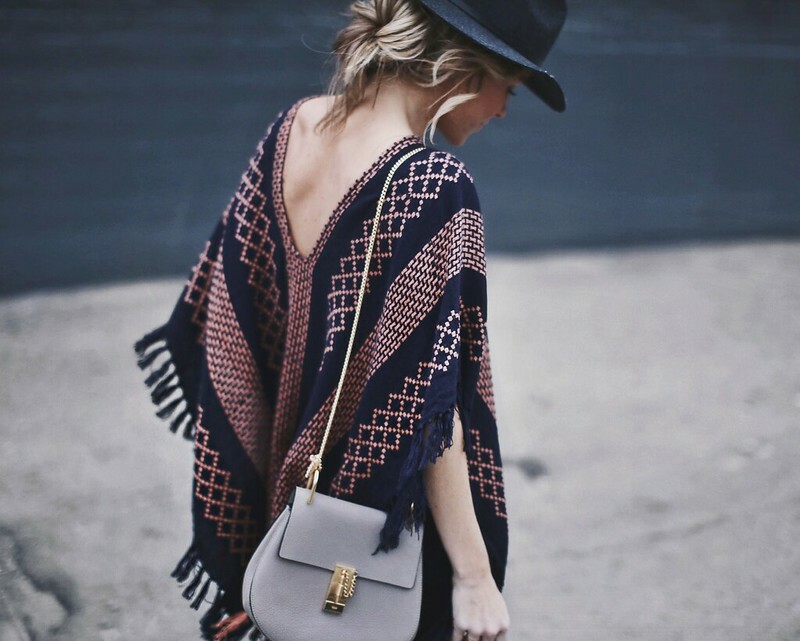 LOVE that bag and that Poncho! I LOVE that Boho Chic style! I just now posted pictures on my blog. Adore your boho style and can totally relate to your love for Free People, their stuff is very cool! I really like this look! I wouldn’t have thought to do this for myself but it looks great on you and the style of the poncho is right up my alley. I’m short and I think pieces like this can kind of overtake me but this is lovely. This makes me want to buy a pair of dark flares immediately. But your hair – how do you get so much texture? It’s always got this perfect messy texture! Maybe you could do a post on your hair? Gorgeous, the 70’s look really works on you. I love that poncho, it’s perfect for festival season.